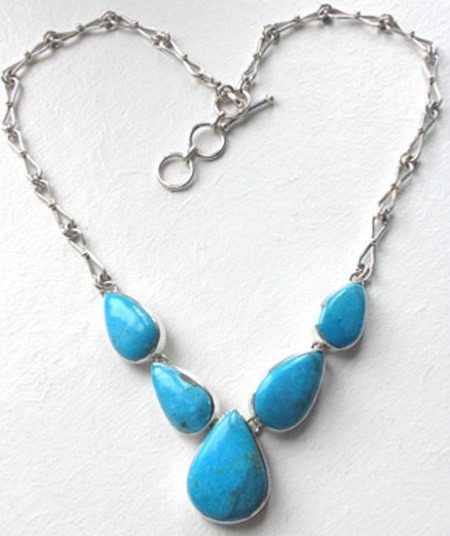 Turquoise statement necklace with a hand made sterling silver chain. 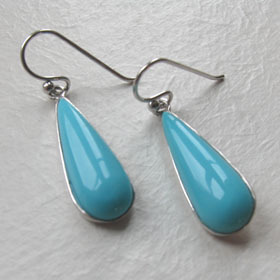 These gemstones are large, natural blue toned turquoise stones. 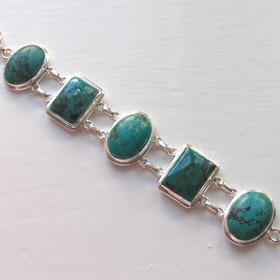 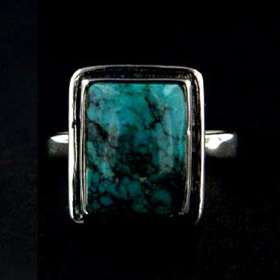 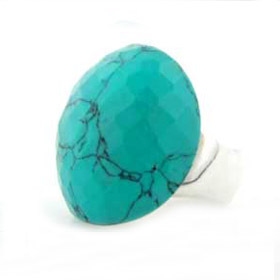 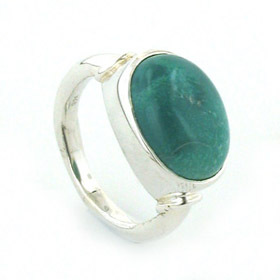 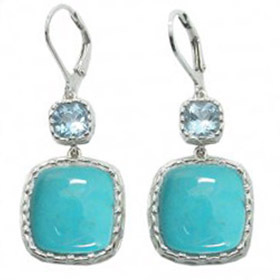 They are polished turquoise stones, hand selected to coordinate well into this gorgeous design. 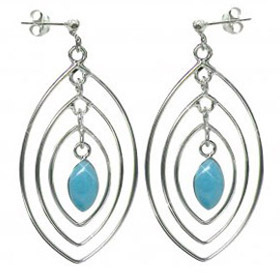 Each stone is set into a chunky sterling silver frame and they are joined at the back with a single link. 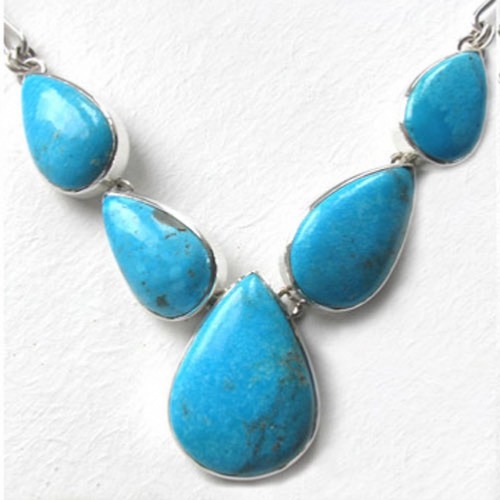 This allows the stones to move freely whilst retaining the necklace shape. 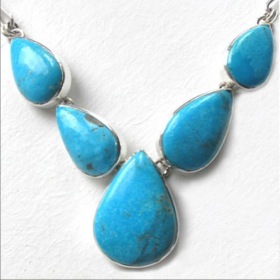 This turquoise necklaces features natural turquoise stones from America. 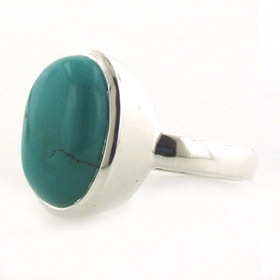 Turquoise is a relatively soft and porous stone so to protect the surface of the stones, they have a clear coating which although invisible adds a protective sheen to the stones. 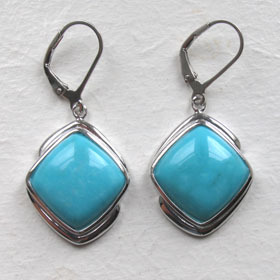 See also our turquoise pendants for more natural blue turquoise jewellery.